I am sure you have heard of the Law of Attraction. Do you know how to apply it specifically to your marketing efforts and your business strategies to create all of the success you desire? If not, you will love this. No one has ever been this specific… until now. Mindset is everything. You can do all the right things but without the right mindset, your results will be minimal. You see, your business is simply a reflection of you. The good and the not so good all reflect who you are being as a business owner. Your beliefs generate thoughts, and your thoughts generate your behaviors, habits and actions. Therefore, if your desire is to expand your business, increase your profits or reach a new market – you have got to change MORE than strategies, marketing, and systems. Affluent people know that money is important and allow themselves to receive it, that is why they have it. Can you imagine if you kept telling your spouse that they are not important? How long do you think they would to stay with you? What you appreciate, appreciates in value. What you do not appreciate, depreciates in value. Know that money is important and appreciate it, but do not be attached to it. It’s all about having a healthy relationship where you cherish it but are free from the attachment to having to have it. Anger and the need to prove yourself are also forms of fear. It is a state of being where you feel you don’t have something and therefore you need to fight to get it. It is to intend and act from a place of fear. The opposite is to intend and act from a place of love. It is a state of being where you are whole and doing what brings you joy that acts like a magnet to profits. 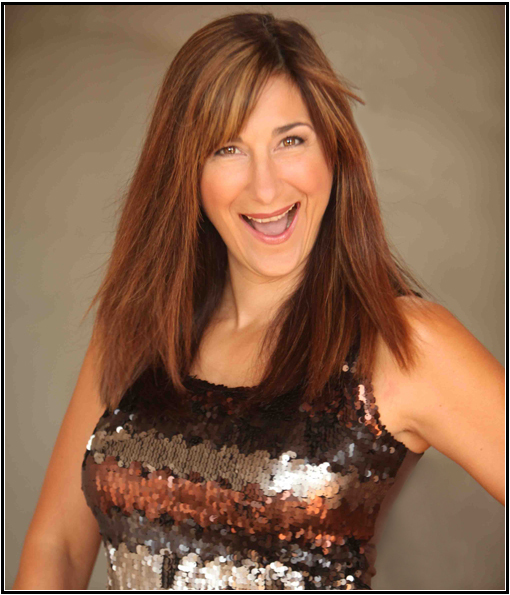 Are You Ready to Get Out of Your Own Way and attract wealth through your business? Wealth Mastery is the breakthrough program for learning how to infuse wealth attraction strategies into your daily marketing and business practices. By making a few strategic changes, you’ll learn how to attract more opportunity and money than you ever dreamed possible. These breakthrough strategies turn your business into an opportunity magnet as you eliminate wealth blocking habits and learn attraction marketing and business management secrets for maximum profit. Prepare to attract an onslaught of 5-Star Clients™! Wealth Mastery is Co-Created by Master Law of Attraction coaches, speakers and authors, Eva Gregory, CPCC and Jeanna Gabellini, CPCC with host, Kelly O’Neil. 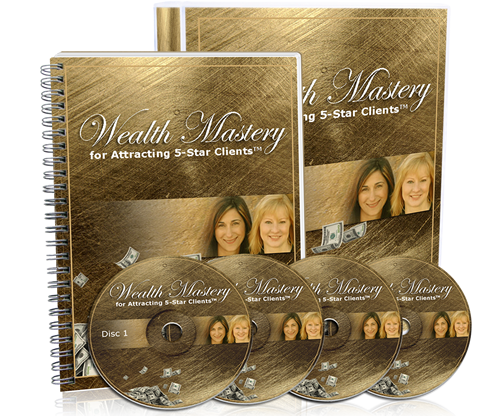 Wealth Mastery for Attracting 5-Star Clients is the first product to really focus on how to apply wealth attraction strategies specifically to your marketing and business efforts. Why what most people have told you about marketing before doesn’t matter. How to debunk the myths like “I have to work long and hard to be successful” or that “I can’t afford that” or “they’ll never pay that”. How to get rid of the belief that you don’t have enough money to do the things you want. There’s a total of 4 Jam Packed Mp3’s and you’ll want to hear these over and over and keep them in your success library for years to come. Great to skim through and make notes in while you listen and re-listen. This Workbook is yours to print out and make notes in, to continue with your learning. Based upon a concept developed by Abraham-Hicks called The Prosperity Game. The game is very simple to play and is a powerful way to activate your prosperity consciousness from the inside-out, resulting in increased ease of attracting money. You are doing a very great service as you are helping people to understand that they are the creator of their own reality… There is great love here for you. We can’t wait for you to join us, in prosperity, certainty and bliss! Hi. I’m Jeanna Gabellini. And for over 20 years now, I’ve been giving business owners the systems, strategies and mindset makeover they need to radically and consistently increase their profits, create a lot more wealth, and experience more fun, freedom and personal satisfaction. Every moment of every day. So, whether you’re just starting your business or you’ve been in the trenches for decades, I want you to know that building a profitable business you love doesn’t have to be hard. You just need to set up your business so it’s destined to make big bucks without demanding all your time, energy and brain cells.